George Osborne has delivered his sixth Budget as chancellor, and the last of the current Parliament. 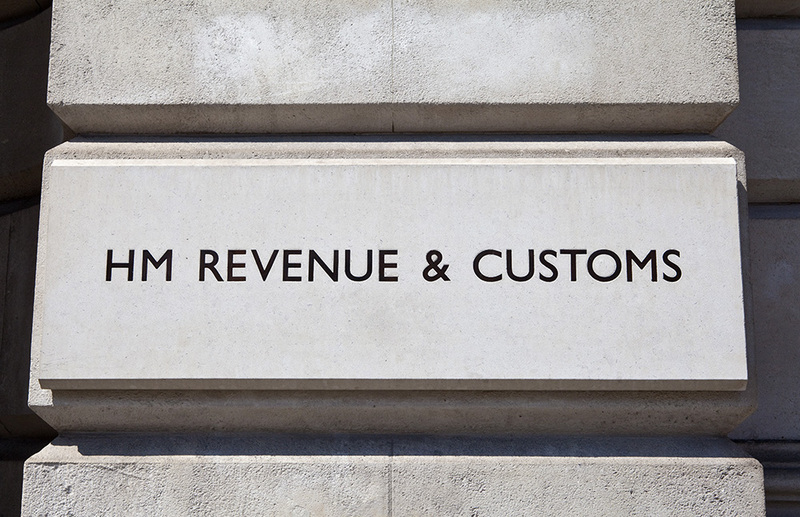 Here is a summary of the main announcements which affect HM Revenue and Customs (HMRC) customers. Savings, Personal Tax, National Insurance and Pensions. The government will introduce an allowance from 6 April 2016 to remove tax on up to £1000 of savings income for basic rate taxpayers and up to £500 for higher rate tax payers. Additional rate taxpayers will not receive an allowance. As part of these reforms HM Revenue and Customs (HMRC) will introduce automated coding out of savings income that remains taxable through the Pay As You Earn system from 2017 to 2018 with pilots starting in autumn 2015. Individuals will be able to withdraw and replace money from their cash ISA in-year without it counting towards their annual ISA subscription limit, and the government will change the rules this autumn following technical consultation with ISA providers. The personal allowance will be increased to £10,800 for 2016 to 2017 and £11,000 in 2017 to 2018. The basic rate limit will be increased to £31,900 for 2016 to 2017 and £32,300 for 2017 to 2018. As a result, the higher rate threshold will be £42,700 in 2016 to 2017 and £43,300 in 2017 to 2018. From 2016 to 2017, there will be one Income Tax personal allowance regardless of an individual’s date of birth. The National Insurance upper earnings and upper profits limits will increase to stay in line with the higher rate threshold. As part of the planned reforms to tax administration, the government will abolish Class 2 NICs in the next Parliament and will reform Class 4 to introduce a new contributory benefit test. The government will consult on the detail and timing of these reforms later in 2015. The government will reduce the lifetime allowance for pension contributions from £1.25million to £1million from 6 April 2016. Transitional protection for pension rights already over £1million will be introduced alongside this reduction to ensure the change is not retrospective. The lifetime allowance will be indexed annually in line with CPI from 6 April 2018. The government will transform the tax system over the next Parliament by introducing digital tax accounts to remove the need for individuals and small businesses to complete annual tax returns. Further details on the policy and administrative changes needed to deliver this will be published later in 2015. The government will consult over the summer on a new payment process to enable tax and National Insurance contributions (NICs) to be collected through digital accounts instead of self-assessment. The government will introduce anti-avoidance legislation effective from 18 March 2015 to prevent companies from obtaining a tax advantage by entering contrived arrangements to turn historic tax losses of restricted use into more versatile in-year deductions. In advance of the receipt of data under the Common Reporting Standard in 2017, the government will offer a new time limited disclosure facility from 2016 to mid-2017 on less generous terms than existing facilities. In advance of the new disclosure opportunity, the existing Lichtenstein disclosure facility will close at the end of 2015 instead of April 2016. In advance of the new disclosure opportunity, the existing Crown Dependencies disclosure facilities will close at the end of 2015 instead of September 2016. The government will invest £4million in data analytics resource to maximise the yield from the Common Reporting Standard data. The government will lay the regulations to implement the UK`s Automatic Exchange of Information agreements and adopt the updated EU Directive on Administrative Co-operation shortly after Budget 2015. HMRC has continued to review cases after the Accelerated Payments legislation took effect and Budget 2015 announces that HMRC will be issuing an additional 21,000 Accelerated Payment Notices over and above the original estimated number. The government will take a power in legislation under which financial intermediaries can be required to notify their UK resident customers with UK or overseas accounts , to inform them about the Common Reporting Standard , the penalties for evasion and the opportunities to disclose. 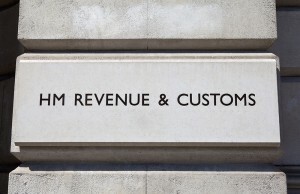 The government will introduce legislation that will enable HMRC to issue Conduct Notices to a broader range of connected persons under the Promoters of Tax Avoidance Schemes (POTAS) regime. The government will also legislate to ensure that the 3 year time limit for issuing Conduct Notices to promoters who have failed to disclose avoidance schemes to HMRC applies from the date when a failure is established. The government will introduce legislation in a later Finance Bill that will increase the deterrent effect of the General Anti-Abuse Rule (GAAR) by introducing a specific tax geared penalty that applies to cases tackled by the GAAR. The government will introduce legislation that will ensure that DOTAS remains an effective information tool. The government will deny Entrepreneurs’ Relief (ER) on the disposal of shares made on and after 18 March 2015 in a company that is a non-trading company in its own right .The government will also prevent individuals from claiming ER on the disposal of personal assets used in a business carried on by a company or a partnership unless they are disposed of in connection with a disposal of at least 5% shareholding in the company or a 5% share in the partnership assets. This also affects disposals on or after 18 March 2015. The government will clarify that the CGT exemption for wasting assets only applies if the person selling the asset has used it in their own business. These changes have effect from 1 April 2015 for Corporation Tax on chargeable gains and 6 April for CGT. The government will legislate to set the rate of Corporation Tax at 20% for the financial year beginning on 1 April 2016. Following a consultation on improving access to R&D tax credits for smaller companies, the government will introduce voluntary advanced assurances lasting 3 years for smaller businesses making a first claim from autumn 2015 and reduce the time taken to process a claim for 2016. The government will produce new standalone guidance aimed specifically at smaller companies backed by a 2 year publicity strategy to raise awareness of R&D tax credits. HMRC will publish a document in the summer setting out a roadmap for further improvements to the scheme over the next 2 years. The government will introduce legislation that gives the UK the power to implement the Organisation for Economic Co-Operation and Development (OECD) model for country- by- country reporting .The new rules will require multinational enterprises to provide high level information to HMRC on their global allocation of profits and taxes paid, as well as indicators of economic activity in a country. From 1 April 2015 the VAT registration threshold will be increased from £81,000 to £82,000 and the de-registration threshold from £79,000 to £80,000. From 23 March 2015 the duty rates on general beer, sprits and lower strength cider will be reduced by 2%. The duty rate on low strength beer will be reduced by 6% and the total duty rate on high strength beer will be reduced by 0.75%. The duty rate on high strength still cider will be reduced by 1.3% and the duty rates on wine below 22% abv and high strength sparkling cider will be frozen. As announced at Budget 2014 duty rates on tobacco products will increase by 2% above RPI. These changes will come into effect from 6pm on 18 March 2015. The government will increase gaming duty bands in line with RPI for accounting periods starting on or after 1 April 2015. The government will cancel the RPI inflation fuel duty increase of 0.54 pence per litre scheduled for 1 September 2015. The Council of the European Union has fully approved the government`s application to extend the Rural Fuel Duty rebate scheme to seventeen areas of the UK mainland. The scheme will be implemented on 1 April 2015 and will enable retailers in eligible areas to register for a 5 pence per litre fuel duty discount. APD rates will increase by RPI from 1 April 2016. The levy will remain at £2 per tonne in 2015 to 2016. The standard and lower rates of Landfill Tax will increase in line with RPI rounded to the nearest 5 pence from April 2016. The Climate Change Levy main rates will increase in line with RPI from 1April 2016. Secondary legislation will be introduced to increase the maximum annual donation amount which can be claimed through GASDS to £8,000 allowing charities and Community Amateur Sports Clubs to claim Gift Aid style top-up payments of up to £2,000 a year with effect from April 2016.